If you are in the market for a new gaming mouse, make sure you take a moment to read this review of the MSI Clutch GM70 & GM60 at Overclockers Club today. 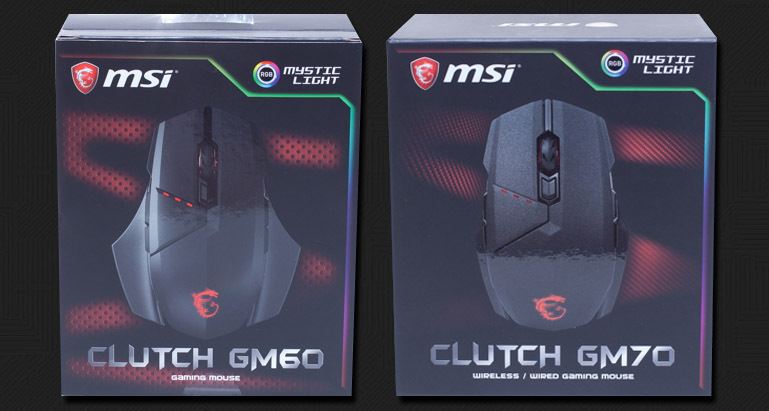 Today I'm going to be reviewing two of MSI's newest gaming mice to hit the market. While MSI is not the first to move strictly from a motherboard manufacturer to a gaming peripherals lineup, the company has made great strides to develop and deploy quality products to keep up with the competitive market.